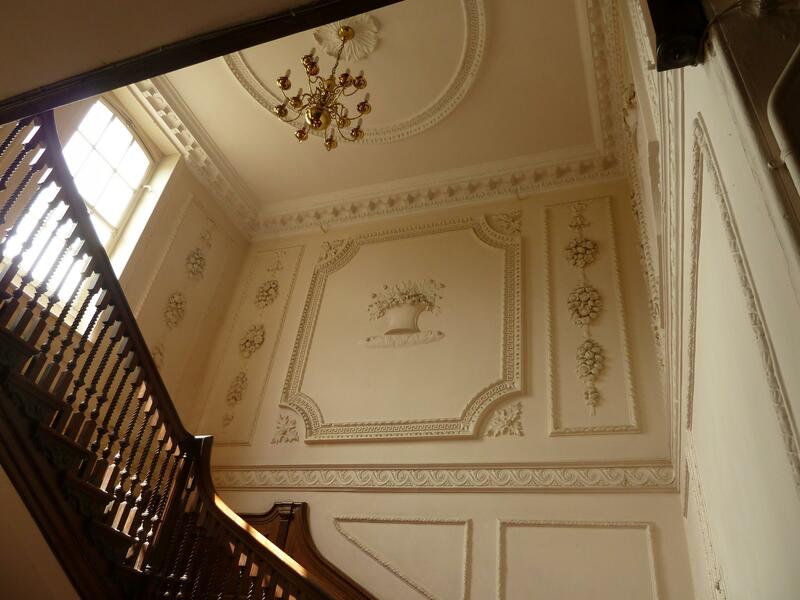 The beautiful original staircase and plasterwork are also still in place, as are some of the fireplaces and other features of the 1740s, having survived more than 250 years of changes of owner and of use. 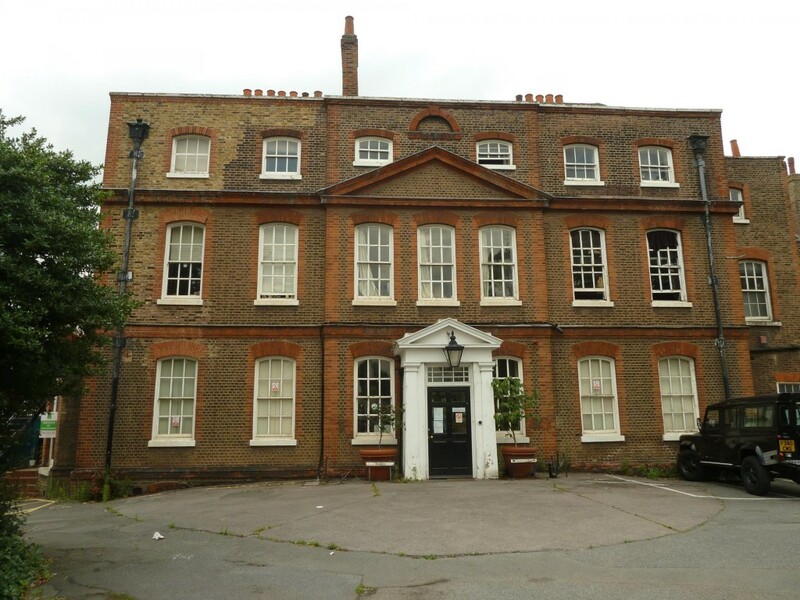 Like many other Walthamstow mansions, this one started out as a family home but changed hands quite frequently as its owners made and lost City fortunes. One of the last families to live here were the Reads. John Francis Holcombe Read was a City entrepreneur by trade, but his real love was music. Read, who played the viola himself, devoted much of his money to bringing music to Walthamstow – he built the Victoria Hall, where many of his own compositions were performed. As Read devoted more time and money to music, his fortune was largely spent and he had to move to a smaller house. 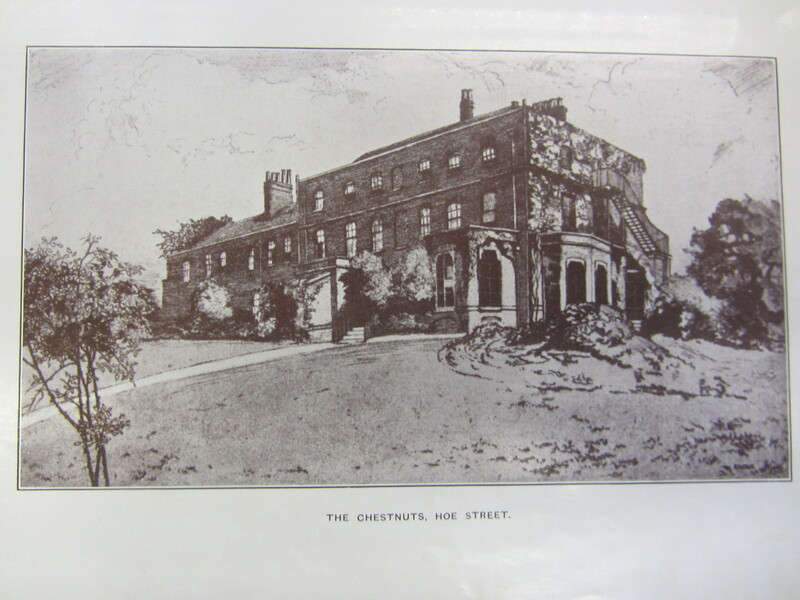 The Chestnuts and its garden and grounds were sold to the Tottenham and Forest Gate Railway Company – the house narrowly escaped demolition as the final route for the railway line runs a few hundred yards to the west. The Railway company did not need the house, and looked to sell it, but by the 1890s it was too big for any of the people who were coming to live in Walthamstow to buy as a home. 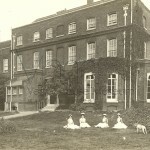 So it was bought by the local authority, and became a mental hospital for women – it was known as the Chestnuts Branch of the Brentwood Lunatic Asylum. 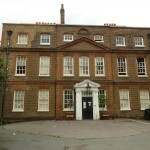 In the 1930s, the Chestnuts became a commercial school for girls, where shorthand, typing and book keeping were taught. And later again, it became an evening school. Now the house is temporary housing for students and others while the local authority decides how best to restore and use it on behalf of the local community to whom it belongs. 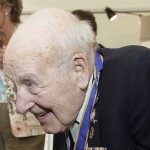 He was one of the last three veterans who could remember serving in the First World War, and although for most of his long life he had kept his wartime experiences to himself, in later years he was persuaded to talk about his life and memories, as a tribute to those who had died in that War. Assisted by a member of the veterans association, and with a prodigious memory, he wrote an autobiography, starting as a small child in a Britain still ruled by Queen Victoria. 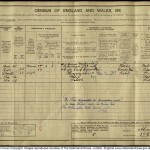 His own father had died of tuberculosis when Henry was three, and he was aware of the prevalence of life-threatening illness, in the days before the National Health Service and antibiotics. ‘Tuberculosis, diphtheria and fevers were common and often fatal – as was the case with the early death of my father. Cancer never appeared on death certificates as it couldn’t easily be detected. ‘Boys wore short trousers until their legs got hairy. girls wore combinations (all in one vest-and-pants) I know that because I saw them on washing lines. Shoes were always a problem, at least well fitting shoes were. I have had two hammer toes all my life due to badly fitting shoes. He remembered holidays with his grandparents on the Isle of Wight, and in Scarborough (they went to Scarborough by sea!) coping with the local school bully and earning money for football lessons by selling horse manure door to door as garden fertiliser – a piece of early enterprise that only stopped when someone stole his home made cart. He and his mother went to Hampstead Heath for the August Bank Holiday Fair every year, and played football in the street – though he secretly preferred cricket. He joined the new Carnegie Library in Manor Park on the day that it opened in 1905, and got issued with ticket number 13. 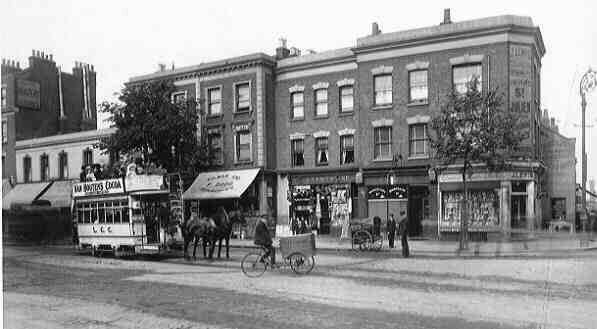 At the age of nine, he left Walthamstow to live with his mother again, in Clapham and continued at school there. He left school at the age of 15 and after a short spell as a scientific instrument maker, went into work with coach builders, working on cars; a career he would follow for the rest of his working life. 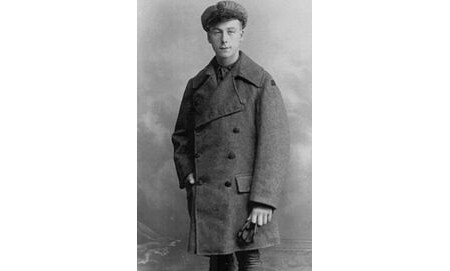 When the First World War broke out, he tried to volunteer as a dispatch rider (he had his own motor bike) but promised his mother that he would not join up. When she died of cancer in June, 1915, he considered himself released from his promise, and joined the royal Naval Air Service, doing his mechanic’s training at Chingford. He became a skilled mechanic, and even went up in a plane – he recalled that everyone covered their face with Vaseline or engine oil to try and protect it from the cold and wind. – and was working on ships launching planes from deck a the battle of Jutland, and remembered ‘ seeing shells ricocheting across the sea’ Later in the war he was stationed in Northern France, as an observer and bomb launcher, and saw front line troops preparing to go ‘over the top’. 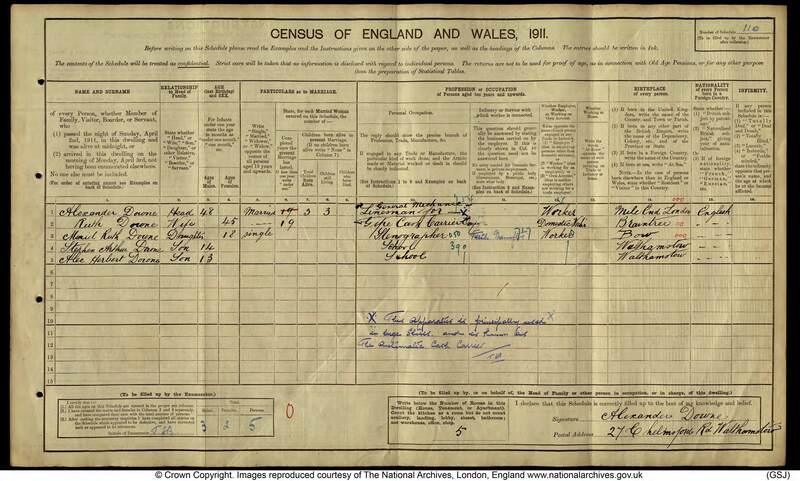 He married in 1918, and after the war lived for many years in Forest Gate, before moving permanently to the South Coast, near Brighton after the Second World War. 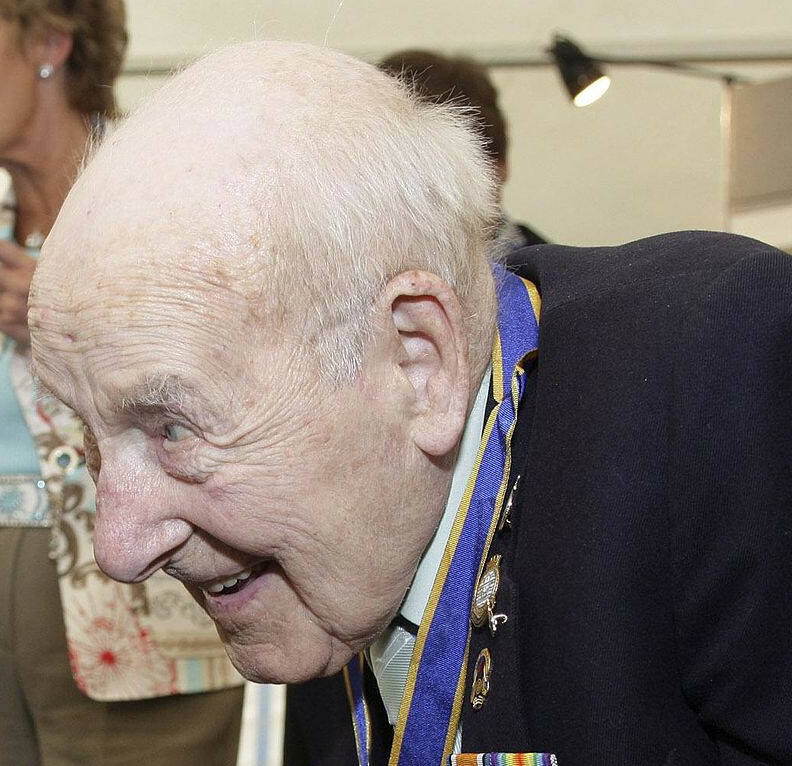 He came to public notice in 2005 when, with two other survivors of the First World War, he attended the Remembrance Day Service, and from then on until the end of his life he would give talks to schools and other groups about his experiences. He attributed his long life to ‘cigarettes and whisky and wild, wild women ‘ though he also acknowledged that the only woman that he had ever kissed was his wife, Dorothy. In the 1890s, when most of our streets were being developed, it was usual to plan for a church in each new neighbourhood. Henry Casey, owner of much of the local building land, gave the plot for this purpose. 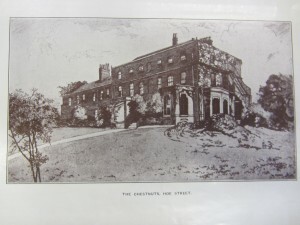 Planning began in 1899 – Richard Foster, a rich City merchant, paid not only for the church, but for the vicarage and the hall that is now named after him. 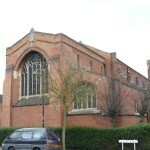 But it was in St Barnabas Road – then called Stafford Road – that the church had its origins. 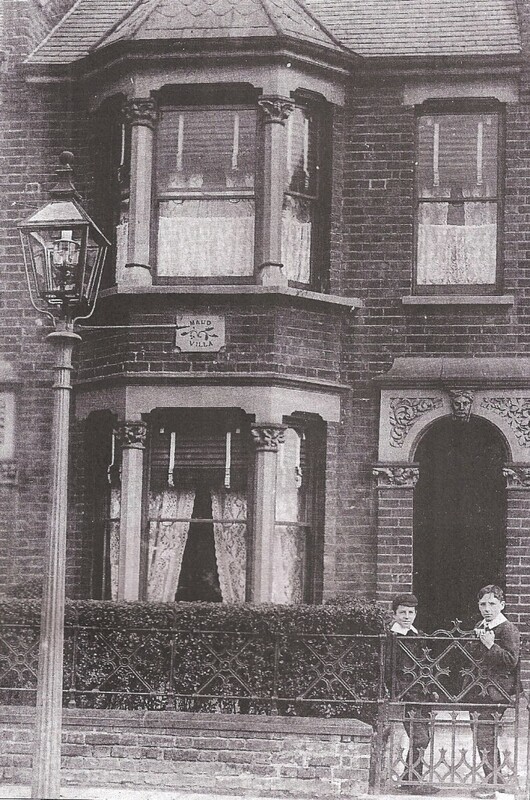 At 44 Stafford Road lived Elizabeth Tracey, her husband and children. And it was Mrs Tracey who, from 1895, began to hold a Sunday School for local children in her house. Soon the congregation became too many to fit into Mrs Tracey’s front room, and it was going to take many months to complete the new church. 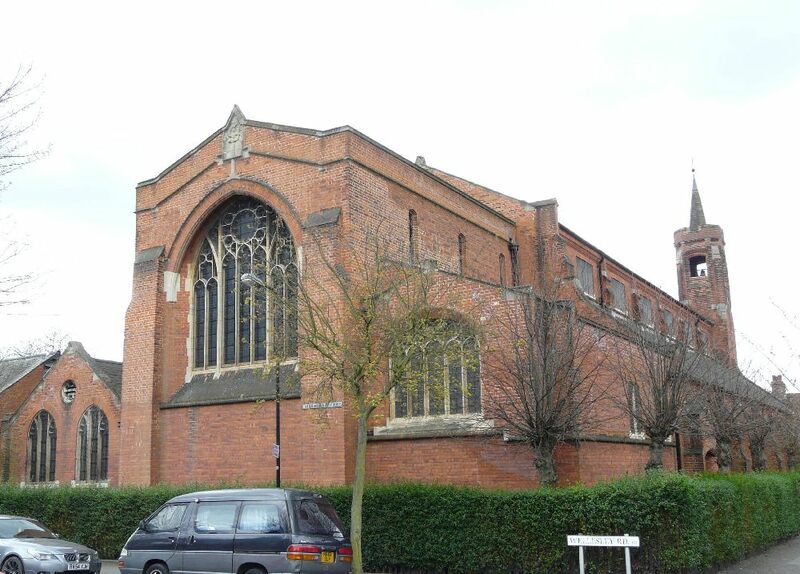 So a second hand, iron “pre-fab” church was bought for £40, and services were held there. And the church Richard Foster built was worth waiting for. It was not complete until 1903, and is built on a grand scale, employing some of the best designers and craftspeople of the time. Foster’s taste was for the formal, elaborate, “high church” form of services, and the church building is a very impressive setting for these. 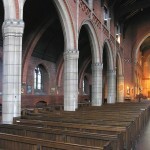 Foster’s generosity also ran to stained glass windows, textiles and an organ. 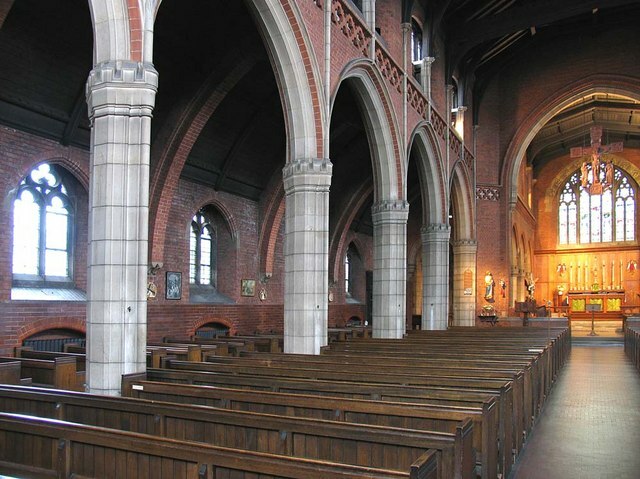 Some people did not approve of this kind of service, and occasionally there was trouble over this – on one occasion a local resident complained because he had attended a service and found candles on the altar and the clergy wearing coloured stoles. 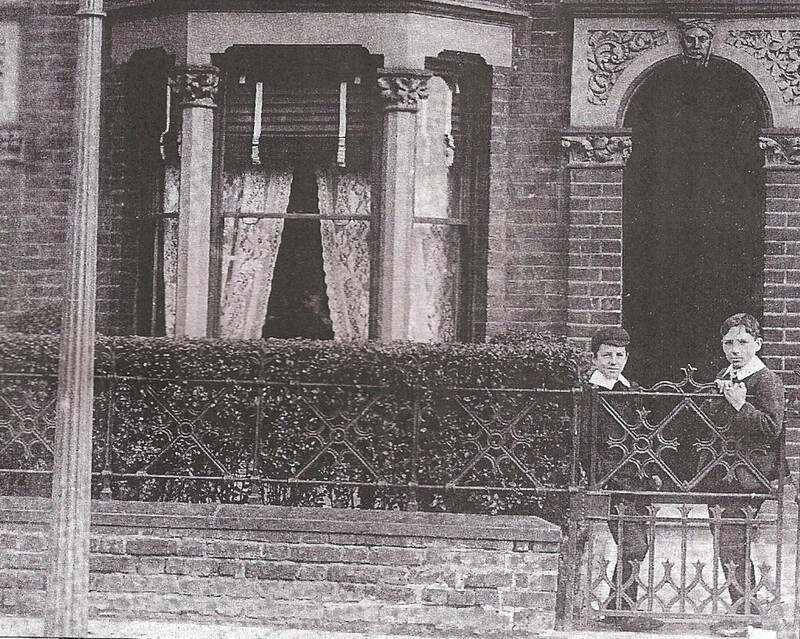 Stephen and Alex look as if they are about nine and seven years old, so the photograph was probably taken in around 1908. 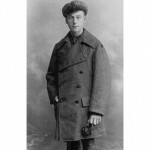 They are dressed alike in woollen suits, shirts with wide collars, narrow ties, and heavy boots. These were the kind of clothes (link to clothes and fashion page) worn by most boys of their age. The only unusual thing about them is that they are not wearing hats – most people did not go far out of doors without a head covering of some kind, so they are probably not going far. Perhaps they have come outside just to be photographed. The house looks tidy and well kept, with iron railings and a carefully trimmed privet hedge in the front garden. 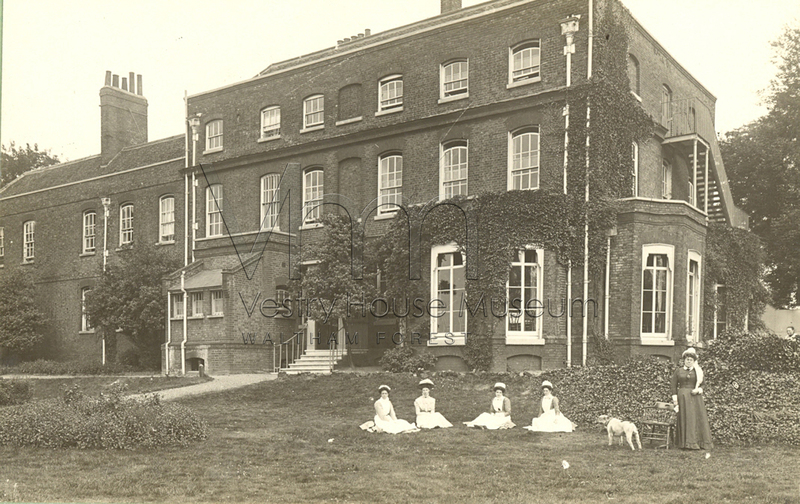 It has the box sash windows that were usual at the time, with wooden venetian blinds half lowered and, behind them, heavy lace curtains. 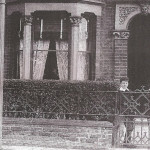 The front doorway is in shadow, so it’s not possible to see whether the house door is open or shut – or any details of what is inside the house (link to houses page). 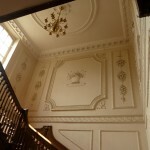 We do know, though, that the house had a front room, which was probably known as the parlour and kept for best. In many families the parlour was kept locked and was out of bounds to children. Behind this was the kitchen, behind that the scullery, which had a door to the back garden and outside lavatory. Upstairs there were three bedrooms. Most local houses were still built without a bathroom. In the foreground of the photograph there is a gas street light. These had to be light every night by a lamplighter who came round with a ladder.